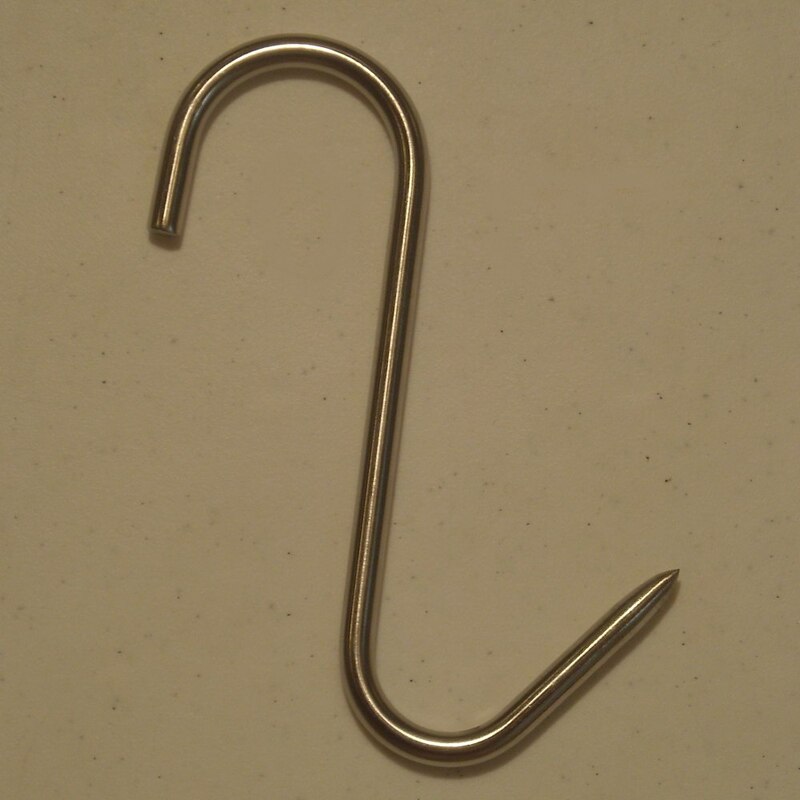 Brightly polished stainless steel Car Hook has sharp point on one end. 3/8 inch diameter x 8 inches long. Hang on rafters or rails. Strong enough to hang deer, elk, pork, small beef. Made in USA. There is no official guaranteed weight rating on these hooks however, they should support up to 300 pounds.